We open right away in the arena and all who are in charge – Daniel Bryan, Shane McMahon for Smackdown; and Mick Foley and Stephanie McMahon for Raw – are on the stage. Mauro Ranallo and Michael Cole greet us, and the first pick of the Draft is going to happen now! McMahon also predicts that Seth will win back the WWE Championship in a rematch tonight! Bryan and Shane’s #1 pick is …. John Cena’s music plays and he walks out. He will be in action against a Club Member who all walk out! Enzo Amore and Big Cass back up Cena. Gallows gets the better quickly before we go to break. Luke is still controlling, but John makes a comeback with a shoulder-tackle and 5-Knuckle-Shuffle Fistdrop! John tries an Attitude Adjustment but Gallows wiggles out and kicks him hard! Enzo and Cass and The Club face-off on, and Cena suddenly drops Gallows with The A.A. for the victory! The commentator’s put over tonight’s WWE Championship bout, and later a Champion VS. Challenger Match! The Commissioners and General Managers are back … Mick picks Roman Reigns for Raw; Shane picks John Cena for Smackdown! ; Stephanie chooses Brock Lesnar; Bryan takes Randy Orton; and McMahon-Levesque selects Tag-Team Champions The New Day as a trio! Darren hits an atomic drop on Miz and scoop-slams him, then tags in Ryder, who double knees Miz out of the corner but is yanked from the turnbuckle! Miz wears Young down with a grounding front-face and kicks, then switches with Rusev. The U.S. Champ tries a move, but Zack counters and tags in Darren, who works over Miz until Rusev re-enters! Rusev tosses Zack but “Long Island Iced-Z” lands on Miz with a RoughRyder Leg Lariat! Ryder and Rusev go to the outside, and Darren uses Bob’s Crossface-Chicken Wing hold on Miz, making the I.C. Champ give-in! Later tonight, Sasha Banks will wrestle Women’s Champion Charlotte and Dana Brooke, and up next, Tag-Team Champion/New Day member Xavier Woods faces Wyatt Family leader Bray Wyatt! Bray get sin Xavier’s head to begin by hanging upside down from the corner and dropping to his knees. Woods approaches him slowly as Wyatt glares, placing his hand on Woods’ shoulders. Xavier does hit him, but Bray quickly dominates with punches and kicks. He tears at Xavier’s chin, and then slams him down with one arm! 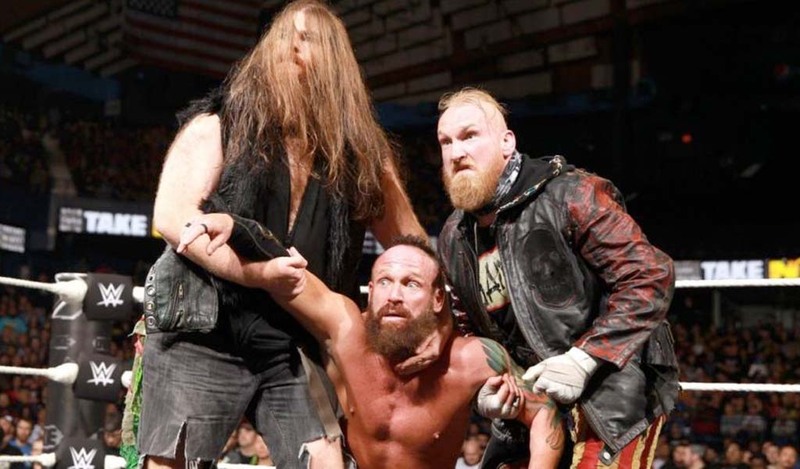 Bray runs with a senton-splash on the canvas, but as Wyatt focuses on Kofi and Big, Xavier hits back quickly, but is just as quick put to the mat with Sister Abigail for the 1 – 2 – 3! (Note: Foley, The McMahons, and Bryan are on the stage, and Kevin complains to them about not being drafted yet.) Before he even gets to the ring, Owens is ambushed by Sami Zayn! The two former friends brawl in the ring, with Kevin throwing Zayn into Kane; “The Big Red Machine” also Chokeslams Owens and then lights off his pyro from the ring posts! Stephanie now elects Sami Zayn to Raw; Shane takes Bray Wyatt for Smackdown! ; Foley selects “The Boss” Sasha Banks on Raw; Daniel accepts Becky Lynch to SD! ; and Mick picks “Y2J” Chris Jericho for Raw! WWE Champion Dean Ambrose talks about being the #1 Selection for Smackdown! He declares that he will remain WWE Champion after Battleground, and is excited for being on Smackdown! Tuesday nights. Sasha ducks a clothesline from Dana and knocks Charlotte from the apron to the floor! banks forearms Dana, and then dives from the apron onto Charlotte with a double-knee senton! Brooke hits back with a running clothesline and takes over in the ring, working on her shoulders and back with a surfboard-stretch! Sasha gets out of it and almost gains some momentum, but is dropped out of a Backstabber. She hits at Charlotte again, but the Women’s Champ jumps off the apron to avoid. Banks gets her Banks Statement Submission on Dana, but Charlotte slides in and plants Sasha with her Natural Selection Finisher! Foley chooses United States Rusev and Lana as a deal while Daniel begrudgingly takes Intercontinental Champion The Miz and Maryse together. Stephanie singles out Kevin Owens; and Shane accepts Baron Corbin. Mick then picks Enzo Amore and Big Cass! Up next, Cesaro and Chris Jericho go at it! Jericho punches, but Cesaro uppercuts and clotheslines back! Cesaro somersaults from the apron and chucks Jericho into the corner of the barricade and follows with a running-uppercut! Back in the ring, Jericho reverses into a victory-roll but only gets two! He tries his Walls of Jericho, but Cesaro twirls out of it. Chris takes over for a bit, and knocks Cesaro on the top turnbuckle. He gives Cesaro a Frankensteiner from the top turnbuckle for a near-fall! Cesaro starts a comeback with furry-uppercuts in the corner, but Jericho boots him out of the opposite one! “Y2J” goes for the Lionsault, but Cesaro counters with a Russian Legsweep from the middle rope! Cesaro swings Jericho around but can’t tie him up in the Sharpshooter; Chris counters a springboard move and drives Cesaro with the Codebreaker to complete this! As we return, Becky Lynch and Natalya fight around the ring, with numerous referees trying to separate them! For Raw, Gallows and Anderson go there! 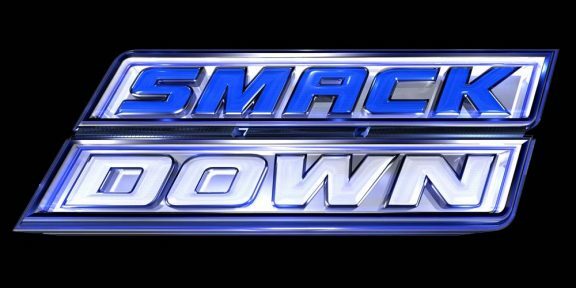 Bryan decides to bring American Alpha (Chad Gable and Jason Jordon) to Smackdown from NXT; Raw takes The Big Show; Smackdown! wants Dolph Ziggler; and Raw carries over Nia Jax from NXT! Seth Rollins for Raw is thrilled to be the #1 Overall Pick! He also says “I am going to walk out of Smackdown! Live the WWE Champion;” and wonders if Roman Reigns will be in full-focus at Battleground. 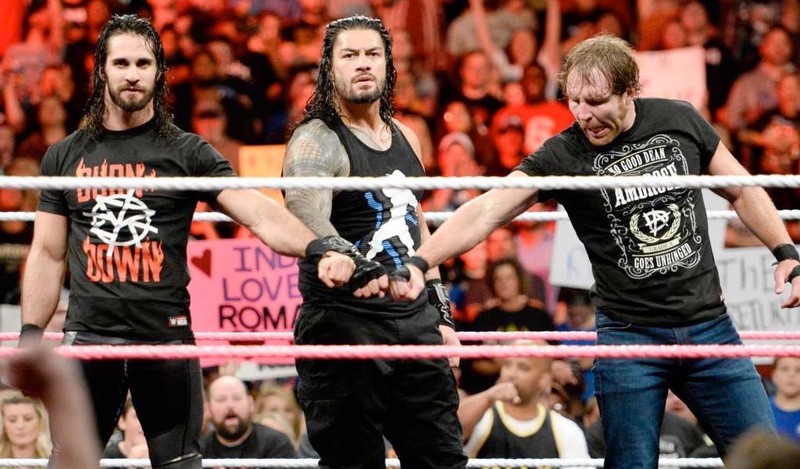 Rollins proclaims that “I was always ‘The Man,’” in The Shield. The last picks for the night are revealed! Raw gets Neville, Smackdown! 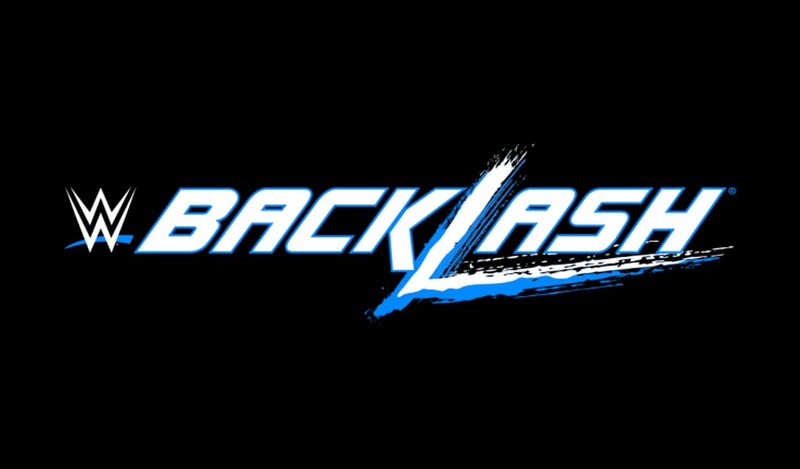 takes Natalya, Raw has Cesaro, Smackdown! fetches Alberto Del Rio, and Raw concludes with Sheamus. After formal introductions, Rollins takes apart Dean before referee Mike Chioda even rings the bell! Referee Chioda confirms with Ambrose, and he then signals for the bell! The bout is officially underway, and Seth continues to punish the WWE Champion. He boots Dean on the middle rope, and then drops a knee on him inside the ring. Rollins whips Ambrose into the turnbuckle and hits him with a backbreaker for two! “The Architect” squeezes Dean’s head with a grounding rear-chinloch, and the two battle on the outside. Rollins throws Dean into the corner of the barricade, but is backdropped into the timekeeper’s section! Ambrose follows with a leap from the announcer’s table, but Seth moves and Ambrose hits the barrier gut-first! In the ring, Seth covers but Ambrose raises his shoulder! Rollins is still in control, running at Dean in the corner with a couple of forearms. He goes for another run, but “The Lunatic Fringe” hits a hard clothesline to counter! Dean rolls up Seth for two, and slams him again for another two, and then climbs the turnbuckle! Dean dives, but is kicked and given powerbomb into the turnbuckles! Rollins follows with a frogsplash, but Ambrose rolls out of the way! Dean rolls up Seth, but the challenger kicks out! Rollins runs Dean into the corner, and then pokes him in the eye. He goes for The Pedigree, but Dean reverses with a backdrop and rockets through the ropes with a forward-dive! The WWE Champ ascends the turnbuckle and jumps off with a diving-elbow to the floor! Ambrose goes back to the top turnbuckle, but is met with a superplex, but Dean reverses a Falcon-Arrow attempt into his Dirty Deeds DDT! Ambrose covers to receive the victory! Post-match, Commissioner Shane and G.M. Daniel charge down to celebrate with their #1 Pick! The announcer’s promote this Sunday’s Battleground Pay-Per-View, as Ambrose holds his WWE Championship on the turnbuckles and high above to close the show. So happy to see the continuation of Becky and Natalya; I through they had dropped them since they did not appear last week. The brawl tonight was great build for what should be a fierce match this Sunday! Did not like the finish to Raw for the main-event, but understand it so they can bring more interest for Smackdown! ; however, glad there was a solid conclusion to the WWE Championship bout. Foley and Bryan are great picks; they both have great chemistry with each other and their Commissioners, respectively! Foley, in particular, was a true surprise – I did not even think of him, but his explanation on Raw for becoming GM made sense, so good storytelling! Glad Darren Young and Bob Backlund are getting love from the fans. Rollins’ promo from Raw was one of his best and really hyped up the Triple-Threat for Sunday! Every little thing Kevin Owens does, on the mike and in the ring, is gold and meaningful; keep going this way! Bogus: Don’t like Stephanie overselling her competitive side; just seems too put on/forced. How does Cesaro not have a match at Battleground and why has he been in non-“on-the-line” matches recently? Hopefully the draft fixes this for him. Cena/Gallows should’ve gone just a bit longer. Overall, the draft was great, but I think the last pick should’ve been much bigger/more significant than Sheamus. I was expecting Shinsuke Nakamura from NXT to go to Raw, and if he still does, then I think the old/new Bullet Club will be formed with Balor, Shinsuke, and Gallows and Anderson. Battleground Picks: Cena/Enzo/Cass to win over The Club; Young to win the Intercontinental Championship; Rusev to retain the U.S. Title over Zack Ryder; Lynch and Natalya in a No-Contest to continue through SummerSlam; Sasha Banks has Bayley or Paige as her partner and pins Charlotte, earning a Women’s Title Match at SummerSlam; The Wyatt Family win over The New Day to remain strong, since they are split. (Shown on the WWE Network, Braun is drafted to Raw.) Rollins wins the WWE Championship and moves onto a different feud for SummerSlam while Ambrose and Reigns go at it for the August Pay-Per-View. I am away next week, so I won’t be writing about Raw and Smackdown until Aug. 1. Through then, Be Excellent Wrestling-Online Fans!